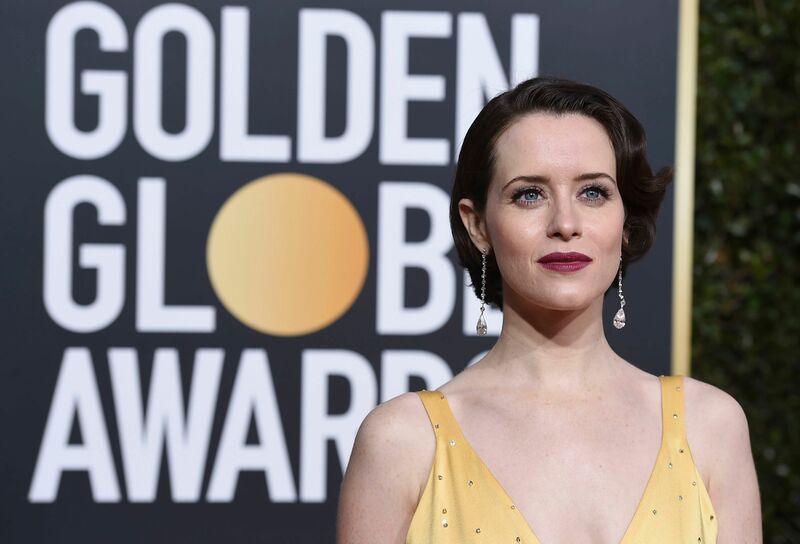 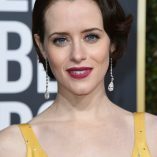 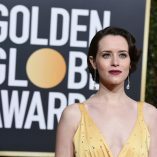 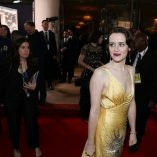 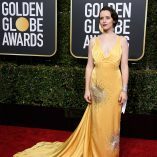 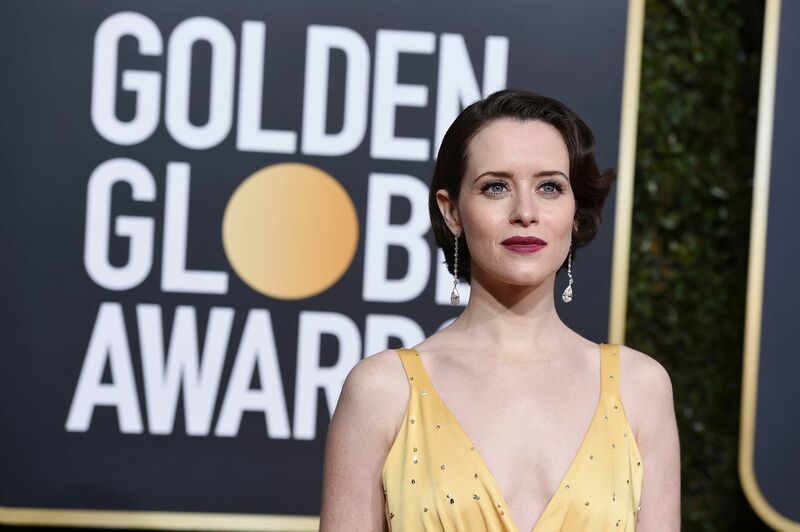 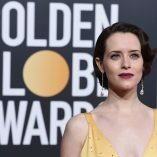 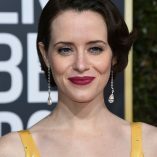 Images of Claire Foy at the 76th Golden Globe Awards. 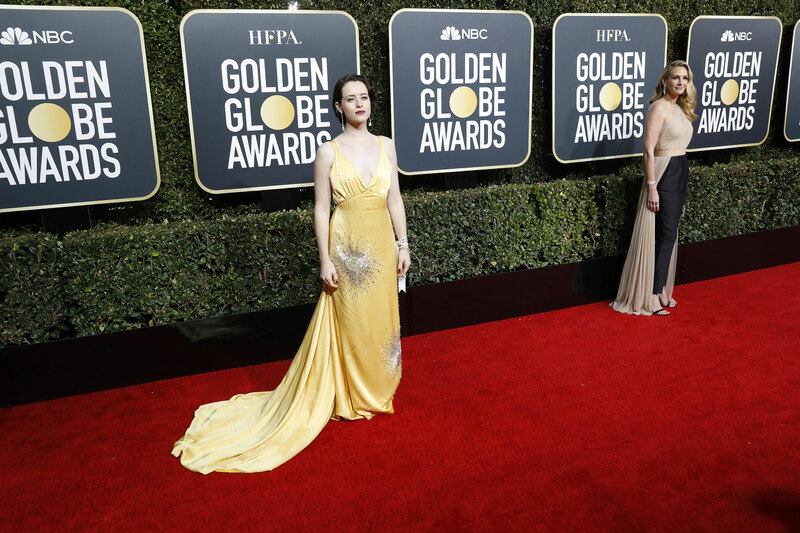 The English actress wears a floor length yellow satin embellished gown. 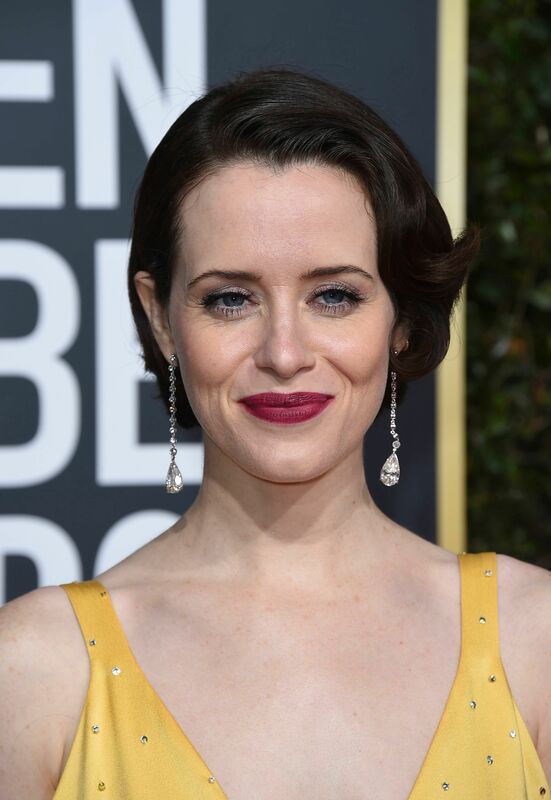 Claire appears in satin at the event at The Beverly Hilton Hotel on the 6th January 2019.